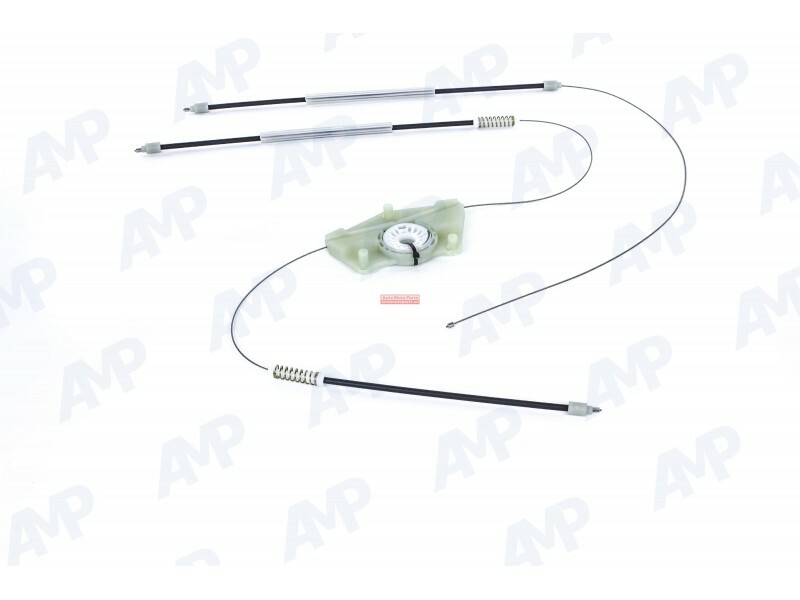 Cables repair kit for window regulator - Front Left Door (UK passenger side). 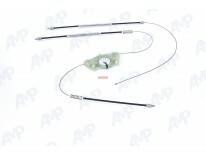 Contains a set of cables with connectors and a pulley (wheel) as shown on the picture. No clips.